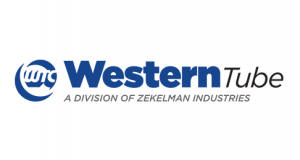 Midwest Equipment Co. MANUFACTURERS - Midwest Equipment Co.
Midwest Equipment Company works with the best manufacturers in each industry to ensure your business receives the best solutions. Fiberglass Conduit, Elbows, Fittings and Hangers-Strut. Full line of corded and battery-operated power tools and accessories. Self-Regulating Cables (Jacketed and Copper Braid), Fixed Resistance Cables, Mineral Insulated Cable, Snow Melting Mats and Cables, Floor Warming Mats and Cables & Thermostats, Thermal Storage Systems, Controls and Accessories. 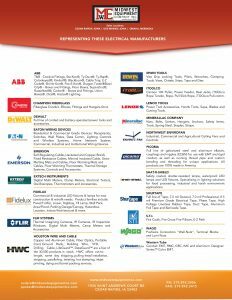 Commercial & Industrial LED fixtures & lamps for new construction & retrofit needs. Product families include: Panel/Troffer, Linear, Highbay, T8 Lamp, Wall Pack, Area/Flood, Parking Garage/Canopy, Hazardous Location, Indoor/Architectural & more. Copper and Aluminum Cable, Fiber Optics, Portable Cord, Ground Rods, Building Wire, VFD, Drilling Cable, LifeGuard™, DataGuard™ are a few of the 30,000 products in stock. HWC offers cut-to-length, same day shipping, pulling head installation, stripping, paralleling, twisting, hot stamping, inkjet printing, dying and barrel packing services. Safety coated, shatter-resistant lamps, waterproof LED lamps and LED fixtures. Specializing in lighting solutions for food processing, industrial and harsh environment applications. Full line of Tape; 7.0 mil General, 7.0 mil Professional, 8.5 mil Premium Grade Electrical Tape, Phase Tape, High Voltage Linerless Rubber Tape, Duct Tape, Aluminum Foil Tape and Barricade Tape. Conduit: EMT, RMC, GRC, IMC and Aluminum. Designer Series ™ Color EMT.